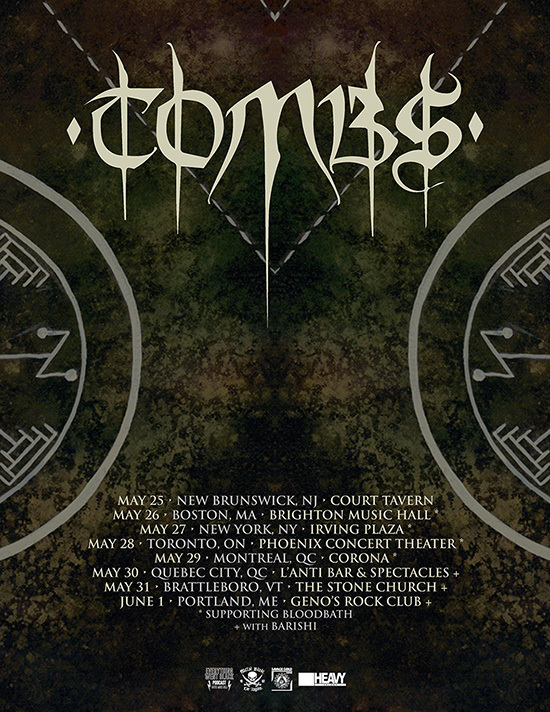 After releasing their fourth full-length, The Grand Annihilation, last year, Tombs is now heading back out on the road again in support of it, this time joining Bloodbath on select dates, before headlining a few shows with Barishi. See below for all upcoming dates! While every track on The Grand Annihilation stands separate from those around it, it is still a cohesive collection, and at no point do the stylistic twists and turns undermine its coherence. The blasting, scathing yet melodic black metal savagery of opener “Black Sun Horizon” and “Way Of The Storm” are very much built to destroy, while wielding a poignancy that is undeniable – both of which stand in strong contrast to the uncomfortable post-punk squall of “Underneath” that showcases front-man Mike Hill’s Nick Cave/Ian Curtis-esque singing voice, while the likes of the throbbing “Saturnalian” and unnerving tribal thunder of “Walk With Me In Nightmares” stand in categories all of their own.